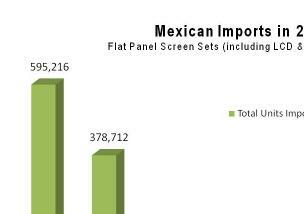 Mexico is one of the world´s leader producers of flat panel screen TV sets (LCD & Plasma). 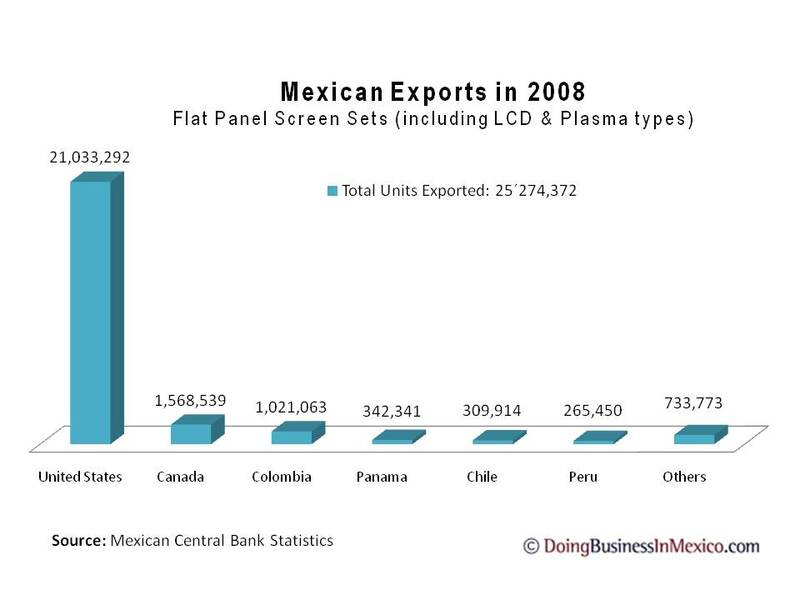 In 2008 the Mexican industry exported 25´274,372 units, worth more than 18 billion U.S. Dollars. The U.S. market was its primary destination meaning 83.22 percent of the total exports. 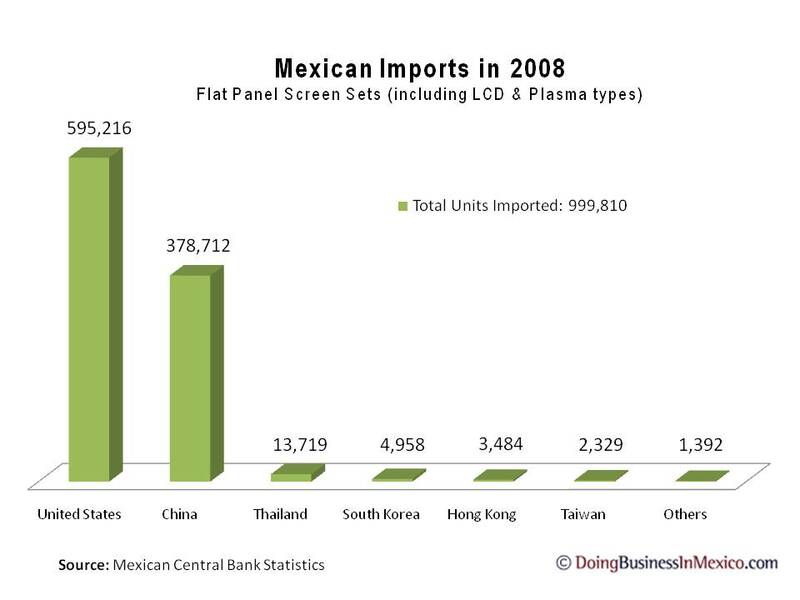 On the other hand, in the same year Mexico imported 999,810 units with an estimated customs value of 320 million U.S. Dollars. 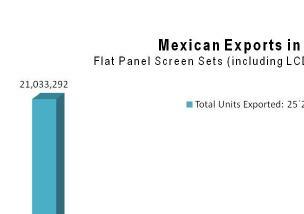 In the Mexican northern border are at least 6 manufacturing companies producing LCD monitors, and 4 producing Plasma TV displays. Samsung, Panasonic and LG Electronics have manufacturing facilities in Mexico. Products originating in the EU and the NAFTA countries are exempted of the import duty. -Technical Norm (NOM-001-SCFI-1993) is compulsory for certification by an official center in terms of security and malfunctions testing. -Commercial Information Norm (NOM-024-SCFI-1998) is required for packaging, manuals and guaranties.